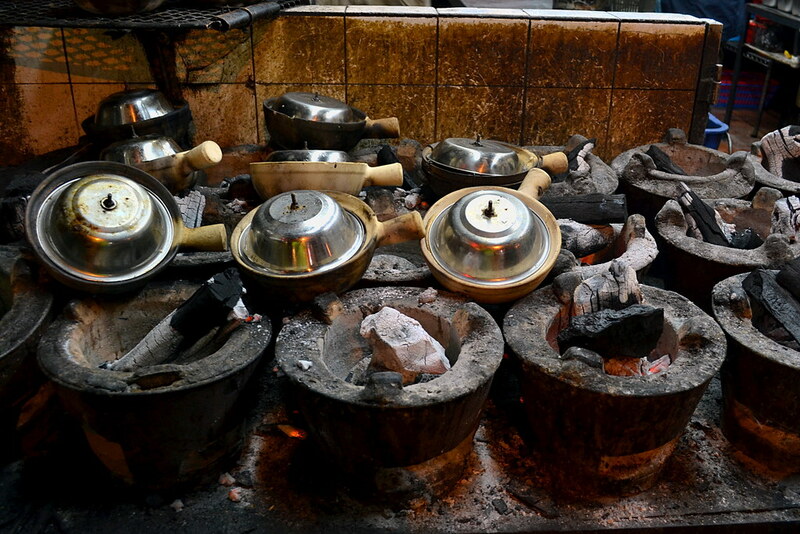 Wandering around one of those Chinese alleys in the old Hong Kong, I found a place preparing food with these strangely shaped clay pots over charcoal stoves. Little pan rice (煲仔饭; bāozǎifàn) are dishes cooked and served in these flat-bottomed pans. In Chinese, the clay pot used for such cooking is known as shāguo (砂鍋) and bàozai (煲仔) in Cantonese, the word for ‘little pot’. These dishes are cooked by simply covering and steaming, laying the ingredients on top of a rice layer with little or no mixing in between, always making the contents very soft thanks to the charcoal slow cooking. 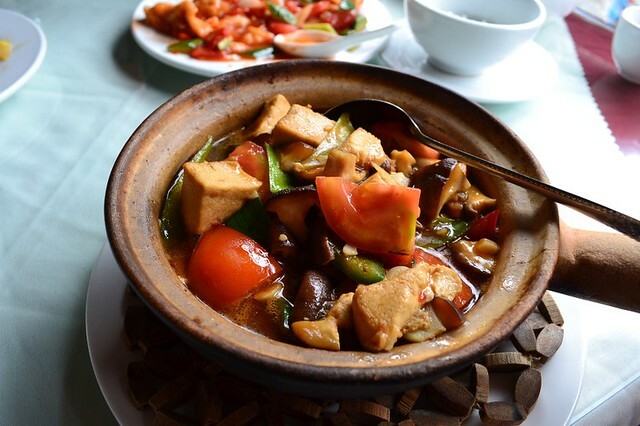 Clay pot dishes are sometimes labeled as “hot pot” on the menus of Chinese restaurants in English-speaking areas of the world, but they should not be confused with an ‘authentic’ hot-pot, served in a large metal bowl. See more at the Flickr gallery on Cantonese food.